Happy Saturday, on this beautiful Minnesota afternoon! Teachers are back in the classrooms this coming week, if not already, and our students are going back day after Labor Day. And now, my friends, the fight truly begins!!! ***First, have you had a chance to sign our petition? Look to the right and you’ll find the big, red scroll. Second, keep informing friends. Third, continue to invite friends to connect with others here and over at facebook. Let us know if they need help in any way with CCSS. Our MACC team is working to stop the implementation of Common Core and we need YOUR help! Here are the first three ways. 1. Contact legislators, governor and MN DOE through a series of BLITZ! calls, e-mails, and tweets. One legislator a week. Professionally inform and educate. My understanding is that they don’t have a deep knowledge of Common Core. Hundreds of people contacting the same person will make a huge impact. The information will be provided and we begin THIS WEEK! 2. State-wide Conference Calls with national experts, in-state legislators and other notable personalities. Once a month teleconference. Invite your friends. 3. Media: We have two Twin Cities’ radio talk shows coming up next weekend discussing Common Core. More information TBA. Can you or do you know someone that can help us with media – written, radio, tv, internet?? 4. If you are someone who prays, please pray over our state and national leaders. Please pray for all of the MACC core-team members and all our members that God would bless our efforts. 5. If you are interested in helping out in any fashion, please contact us via the gmail account. Previous PostThe Perfect Plan to Destroy America – Nationalize EducationNext PostBLITZ ACTION ALERT! I have contacted my school board as well as left messages for Erik Paulsen. The school board told me it was not up to them and Erik Paulsen will not return my calls or emails. I was watching Glenn Beck Friday and David Barton, who is working on educating people as well as getting groups, such as tea parties and 912 project, together to take action within in each to defund CC. Is defunding CC something that we are working on in Mn?? Thank you for writing in, Bonnie! I’m encouraged to hear that you’ve contacted your school board and Rep Paulsen. I went to my sch board and had opportunity to give a short presentation. Before I answer further, I have two questions: 1. Which district? 2. Was your interaction a phone call or actual discussion at a board meeting. Keep trying Paulsen! He’s my rep, also. 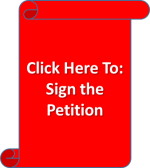 At present, we have a petition asking for a halt for Common Core implementation. Our goal/mission is to completely eradicate Common Core, as well as No Child Left Behind in Minnesota. On Monday, we begin our Blitz calls/e-mails/tweets to legislators en mass w/ the MACC facebook groups/pages to inform our senators, representatives, DOE and governor about our concerns and opposition. We’re working on setting up state-wide conference calls to continue informing the public. We have some other plans in the works, but not ready to fully disclose yet. If you are interested, we would love to have your help on our team. Certainly let me know if you have further questions.